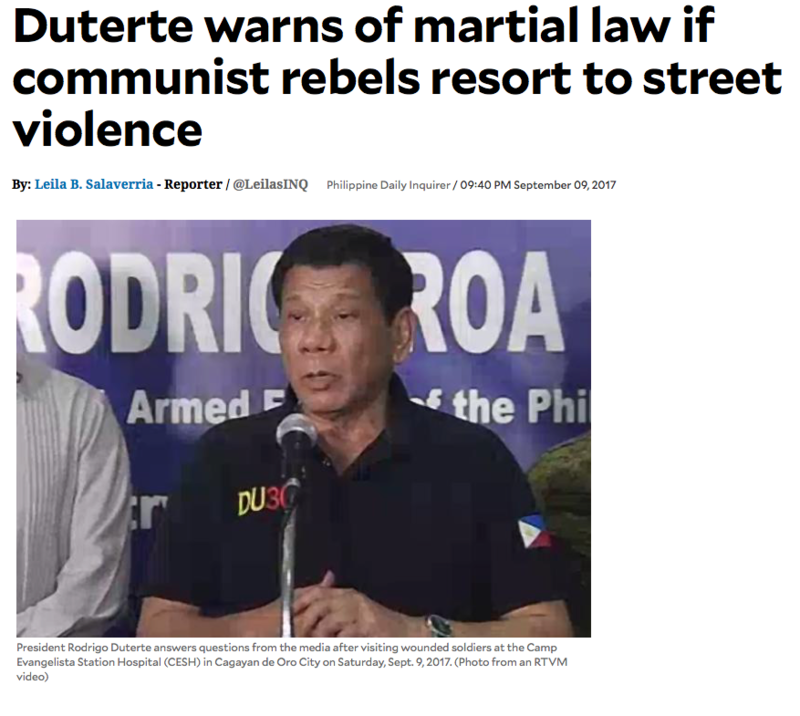 Duterte's plan has always been martial law from the beginning. 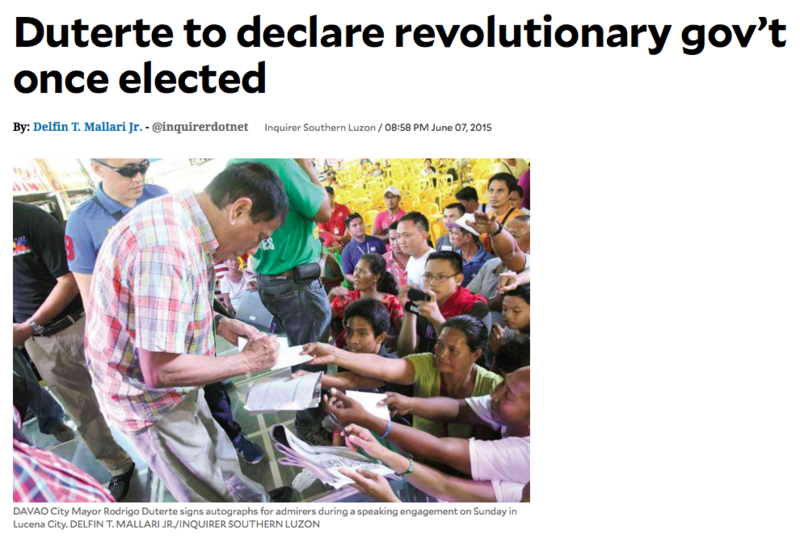 His end goal being revolutionary government and a new constitution which he first mentioned in 2015 before he even entered the presidential race. 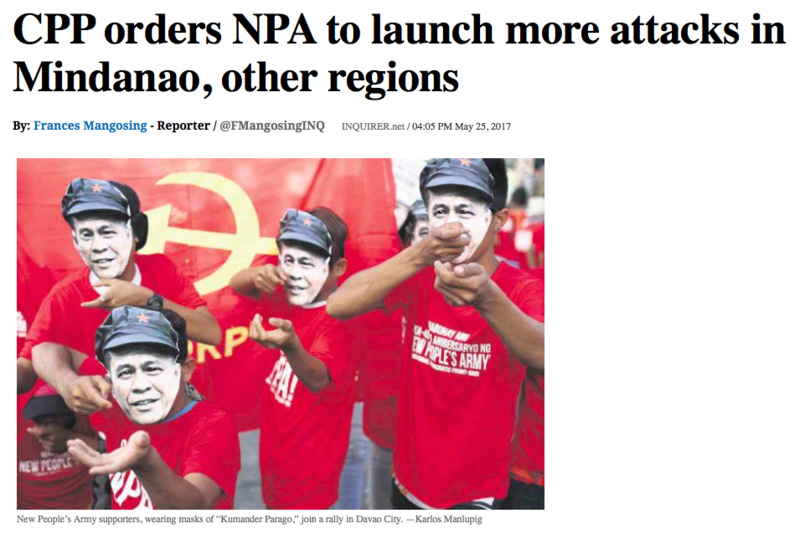 In my previous article I wrote that the way to get to martial law and make it look legit is to allow the CPP-NPA and various terrorist groups engage in horrendous violence all the while appearing to play peace maker. This has been done with the various peace talks. With the Muslims there is peace at the moment because they have the prospect of the BBL. However, with the CPP there is no peace and the talks have broken down. Since the CPP wants a piece of the Philippines for themselves and since there is no way that is going to happen, I posited that the peace talks were ultimately phoney. 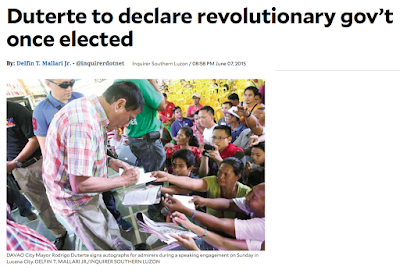 They were a front which would give Duterte the appearance of a man of peace. 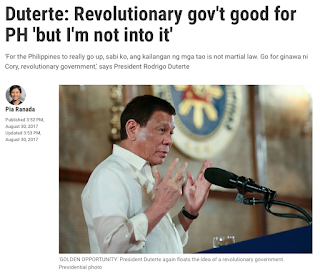 But, knowing the demands of the CPP were unreasonable and not demands he could meet, he knew the talks would break down which would cause the CPP to ramp up their attacks. 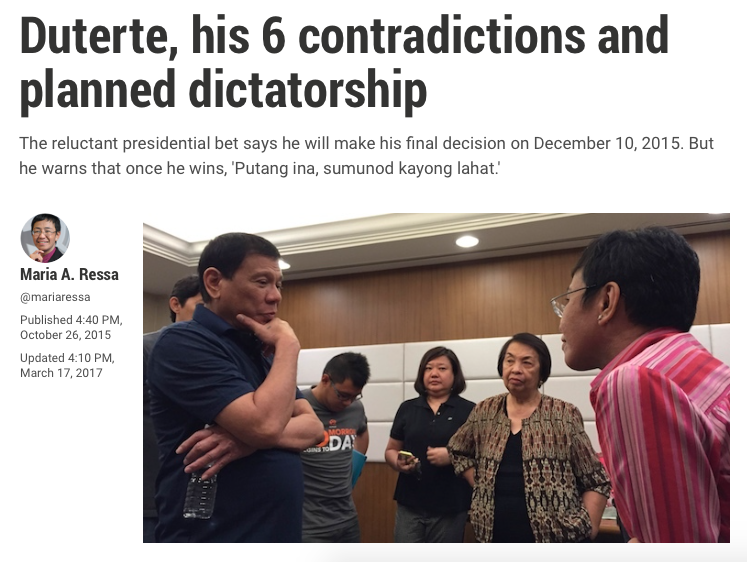 This in turn would give Duterte the moral authority to declare marital law nationwide. Since the breakdown of talks and the implementation of martial law in Mindanao this exact thing, CPP-NPA ramping up attacks, has happened. 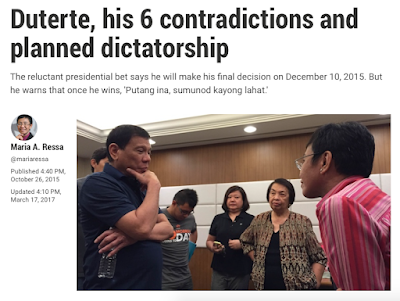 Only time will tell if the situation gets to the point where nationwide martial law will be declared. 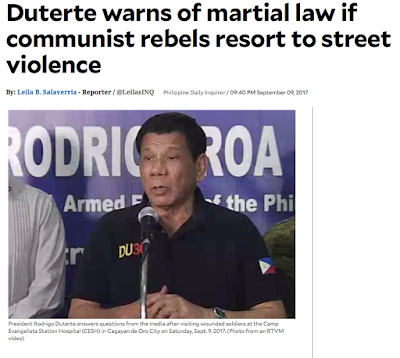 You can read my original analysis of Duterte's plan to declare nationwide martial law here: Martial Law Was Always the Plan.